It was a blessing last Monday on Outta My Yard radio, giving us the chance to showcase our vibes. The whole session was so irie. It lasted 2 hours (you can listen the whole podcast from here) and we had the opportunity to present to the listeners some very special versions of some tunes from our back catalog, as well as many pre-release and dubplates. Alongside Med Dred pon di melodica and Sister Christina pon di Cretan lyra, we kept on dubbing and jamming live outta Dubophonic yard. 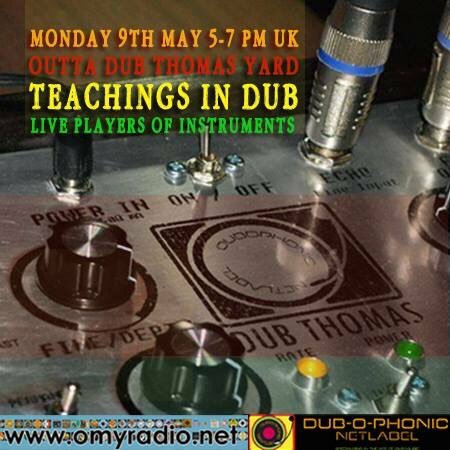 Big up the players of instruments and all listeners tuned in. Keep watching this space, as we will be having some brand new releases in the next months from Hermit Dubz, Knati P, Jahriffe, Jah-n-I Roots Movement, Negritage, Kamikaze Sound & Infiammati Dub.